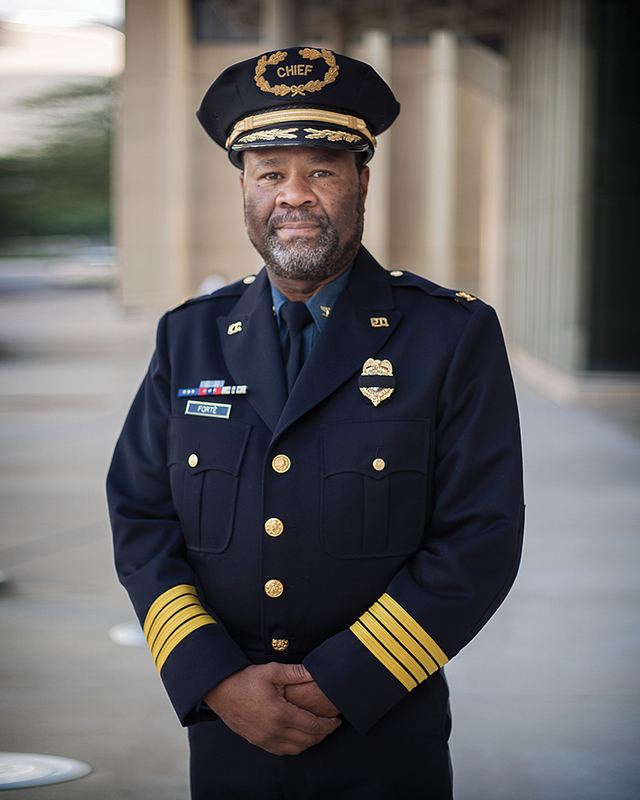 Do you remember how quietly former Kansas City Police Chief — now Jackson County Sheriff — Darryl Forte left the police department in 2017? He announced in March of that year that he would be retiring after six years as chief. Less than two months later, he was gone. On his last day in office, which should have been cause to celebrate 32 years on the force, he wouldn’t even consent to be interviewed. And what was the biggest “takeaway” from his retirement? Well, we all remember that, don’t we? A $500,000 windfall in accrued vacation, sick and comp time. Basically, Forte snuck out the back door with money spilling out of his pockets. 17 DISCIPLINED AFTER FAILURES IN KC POLICE CHILDREN’S UNIT!! Now, more than two years after The Star fleshed out the story it’s clear this is a scandal of epic proportions. Seven officers in the children’s unit lost their jobs; some were transferred to other units; and some were busted and put back on patrol duty. Apparently frustrated at their heavy caseload, investigators in that unit responded by doing little or nothing. They sat on cases, ignoring them for months and twiddling their thumbs. In some cases, evidence was stuffed into desks with no notes indicating what cases the evidence belonged to. Parents of victims were left frustrated. They and the children who were victimized saw no action taken against perpetrators. It was truly outrageous — a failure of oversight at several levels up the chain. The buck, of course, stops at the top. That would have been at Forte’s desk. The investigators’ negligence apparently got started about the time Forte became chief, in 2011. And while he was chief it mushroomed. The way I see it, he allowed it to go on. He had to know about it. There’s no way an entire unit could have been so unproductive without him knowing about it. I believe he just turned a blind eye — didn’t want to open a can of worms he knew would bring terrible publicity down on the department. But it was so bad it had to come out…couldn’t be contained. Like I said, that was in September 2016, thanks to The Star. And six months later, Forte announced his resignation. Meanwhile, the police department’s internal investigation dragged on for two years. And then, after it was completed, the new chief, Rick Smith, sat on it for a year. During that year — all of 2018 — Forte was appointed sheriff to succeed Mike Sharp, who had resigned, and in November Forte was elected to serve the last two years of Sharp’s unexpired term. All I can say is I sure hope Forte sent Rick Smith a big box of candy for Christmas as thanks for delaying release of the damning report until after the election. There’s no reason that investigation couldn’t have been completed and a report released within a year. In California, in fact, state law requires internal police investigations to be completed within a year. If they’re not, the officer or officers involved can’t be punished. Like criminal defense attorneys, police understand delay can be their friend. In criminal cases, witnesses often move away, change their minds about testifying or even die with the passage of time. Evidence gets stale. And big cases tend to lose their emotional energy. So that’s the tack Kansas City Police Department officials did with this scandal; they let it get old, hoping most people would forget, or at least that outrage would subside. Thankfully, The Star didn’t forget, and the editors put the “17 disciplined” story where it belonged, at the top of A-1. The editorial contained just one paragraph about the failures in the Crimes against Children’s unit. What the editorial should have said was it was too soon to assess his tenure as chief; that a more thorough assessment would have to wait until all the facts surrounding the scandal had come out. Now we know, and now we can put his years as chief in proper perspective: Darryl Forte — Jackson County Sheriff Darryl Forte — presided over the most shameful police department episode during at least the last half century. …I don’t know if he got a pizza and sheet cake party on his last day as chief, but if he did, he didn’t deserve it. My hope now is that a good candidate will emerge to run against him in two years and shove that scandal down his throat, where it has belonged all along. Years ago JFK Jr. wrote that KCMO was a top 10 corrupt city and in such a city, everything serves the corruption. All institutions, from charities, foundations, to every agency of government serves the corruption. This is just another example of how the incompetence and corruption is perpetuated and the guilty are not only not punished, they are rewarded with even more largess in the form of golden parachutes and cushy jobs for serving the corruption. Stories like this should be a daily feature of The Star because they could be if the paper was doing its job. I do disagree with one comment. Forte does not deserve a strong candidate in two years, he should resign now – without yet another wad of the public’s money. Thanks, John…So far, nothing from The Star’s editorial page.